2014 — 30 x 40. Exemplaire unique. Page du livre SUMO. d'Helmut Newton Revised by June Newton, edition Taschen. 2014 — . 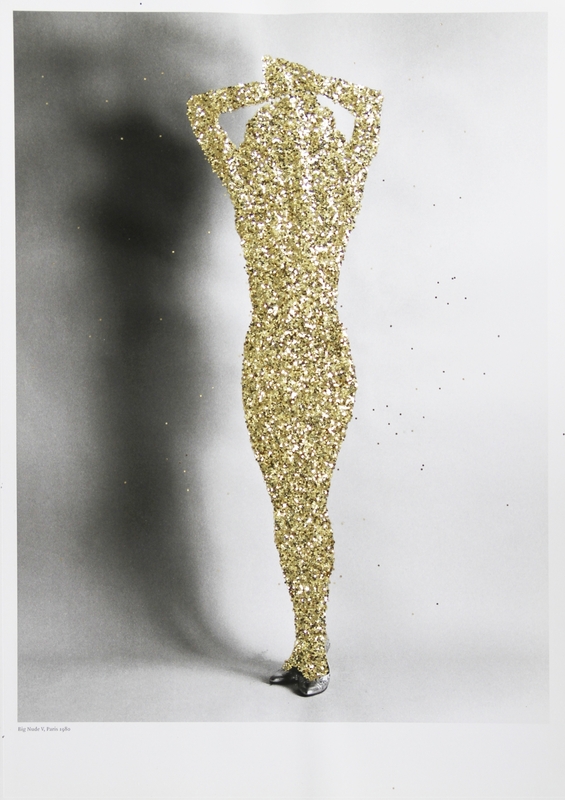 Gold glitter on pages of Helmut Newton Book edited by Taschen. 14,56 x 10,23 Inches.